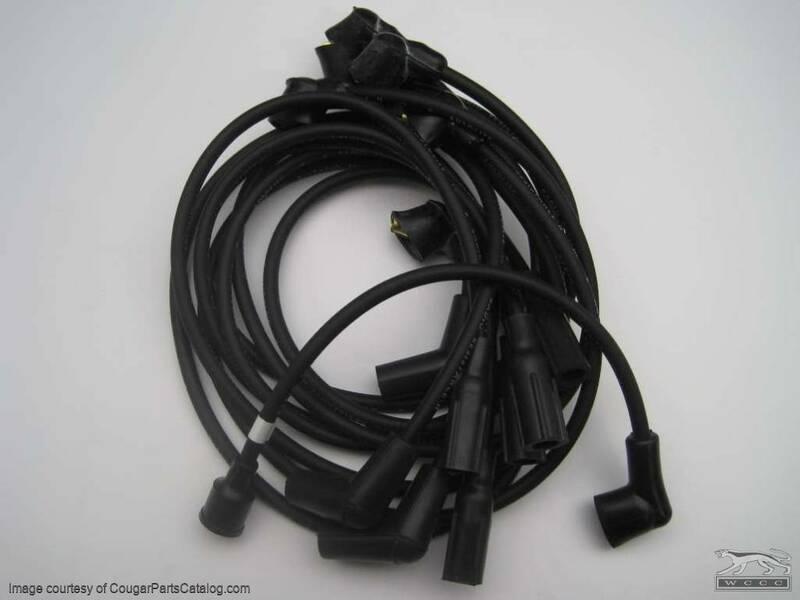 Concours correct Autolite spark plug wires for any 1967 Mercury Cougar or Ford Mustang with 289 engines and without smog pump. Black wires with &apos;Autolite&apos; and &apos;radio resistance&apos; imprinted on the 7mm wires. Correct black boots angled where needed.